Some new food innovations that will be on the shelves soon. 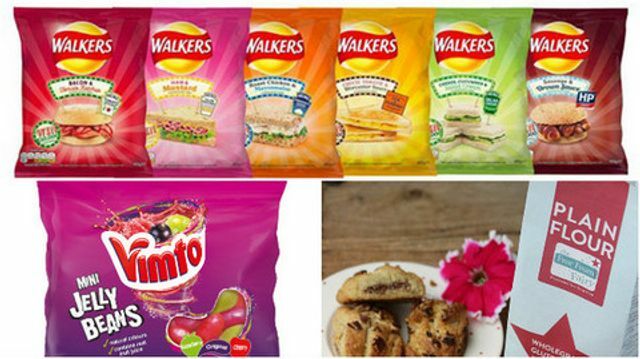 Sandwich inspired crisps from Walkers look interesting! Bacon Sandwich and Tomato Sauce flavour anyone?! Walkers’ range of sandwich inspired crisps feature Heinz sauces as flavourings, while Drinkmaple has launched a novel drink “tapped” from trees. A new powered maple syrup has been developed by Ohly for use by food manufacturers, while Mondelēz brings some of the US’s favourite Oreo flavours to the UK. Other products released in the past month include: whole grain flour which is both gluten and rice free, Vimto-flavoured jelly beans and fair trade, low calorie cola.